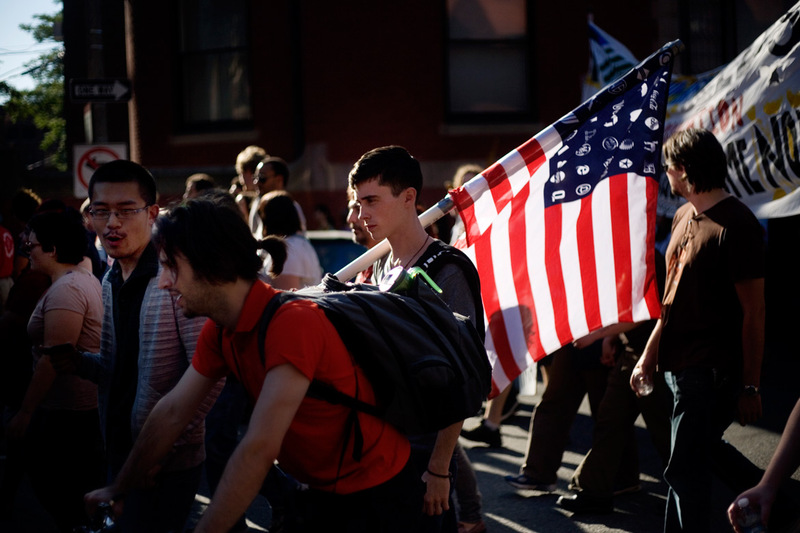 Protesters from the OccupyBoston movement walk through the streets of the Back Bay area of Boston, Massachusetts, USA. The area is a high-traffic shopping area. The protesters are part of OccupyBoston, which is part of the OccupyWallStreet movement, expressing discontent with the socioeconomic situation of the 99% of the US population who are not wealthy. Protestors have been camping in Dewey Square since Sept. 30, 2011. 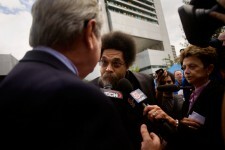 Gradually, larger organizations, including major labor unions, have expressed their support for the OccupyBoston effort. 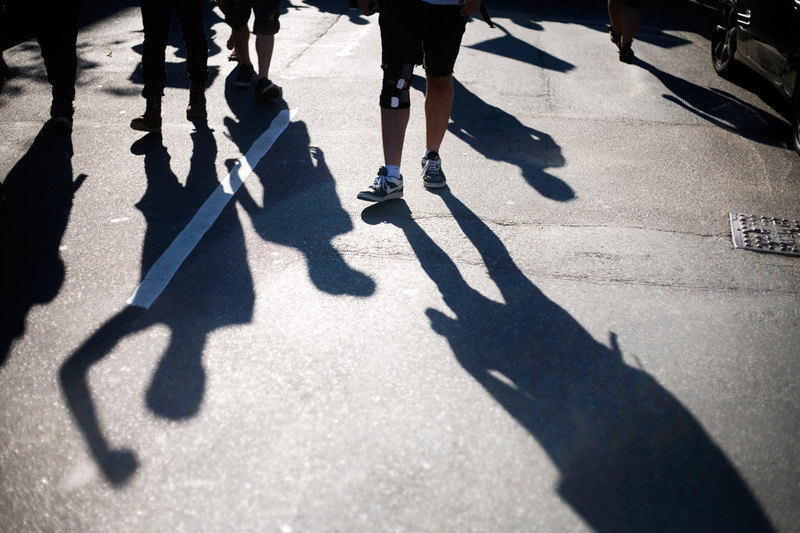 Shadows are visible on the street as OccupyBoston protesters walk through the streets of the Back Bay area of Boston, Massachusetts, USA. The area is a high-traffic shopping area. 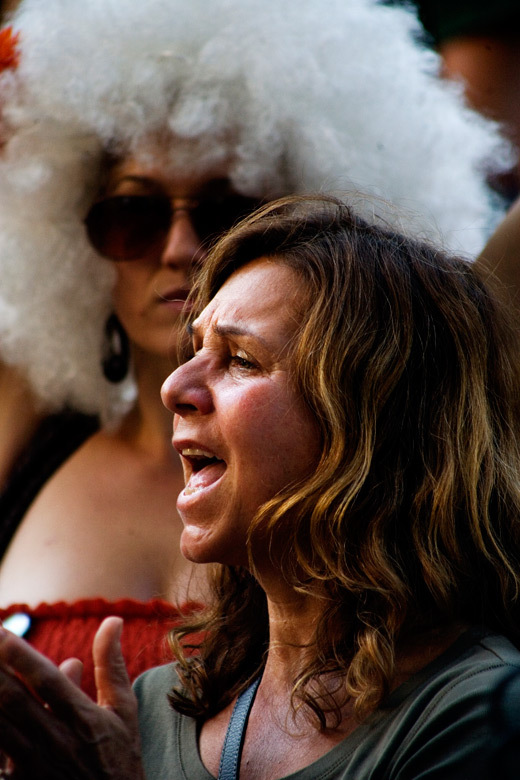 The protesters are part of OccupyBoston, which is part of the OccupyWallStreet movement, expressing discontent with the socioeconomic situation of the 99% of the US population who are not wealthy. Protestors have been camping in Dewey Square since Sept. 30, 2011. Gradually, larger organizations, including major labor unions, have expressed their support for the OccupyBoston effort. Closeups of protestors of the OccupyBoston movement as they sit outside the Federal Reserve Bank of Boston near Dewey Square in the Financial District of downtown Boston, Massachusetts, USA. 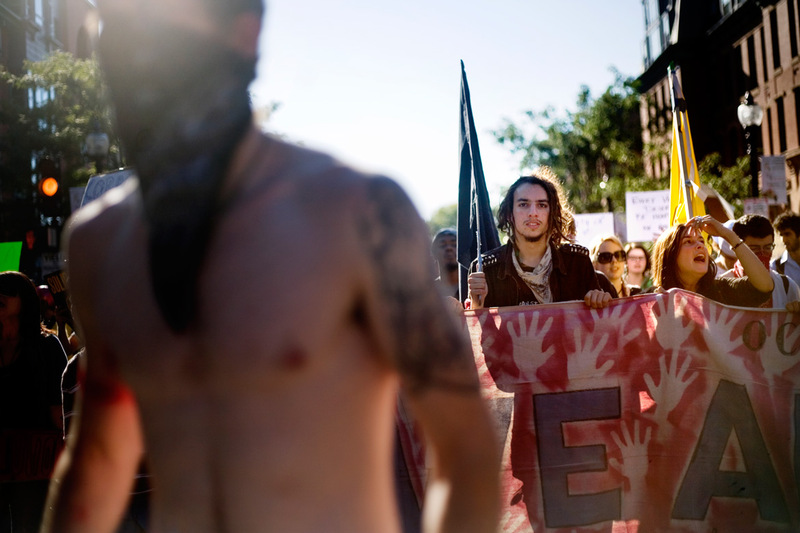 The protesters are part of OccupyBoston, which is part of the OccupyWallStreet movement, expressing discontent with the socioeconomic situation of the 99% of the US population who are not wealthy. Protestors have been camping in Dewey Square since Sept. 30, 2011. 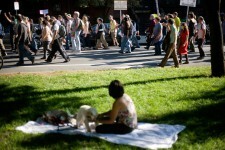 Gradually, larger organizations, including major labor unions, have expressed their support for the OccupyBoston effort. Dr. Cornel West, Princeton University professor and prominent political activist, spoke with media and protestors at the OccupyBoston demonstration in Dewey Square in the Financial District of downtown Boston, Massachusetts, USA. 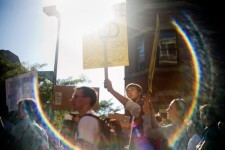 The protesters are part of OccupyBoston, which is part of the OccupyWallStreet movement, expressing discontent with the socioeconomic situation of the 99% of the US population who are not wealthy. Protestors have been camping in Dewey Square since Sept. 30, 2011. Gradually, larger organizations, including major labor unions, have expressed their support for the OccupyBoston effort. On this day, Oct. 5, members of National Nurses United, the largest nurses' union in the US, marched alongside the OccupyBoston protesters. 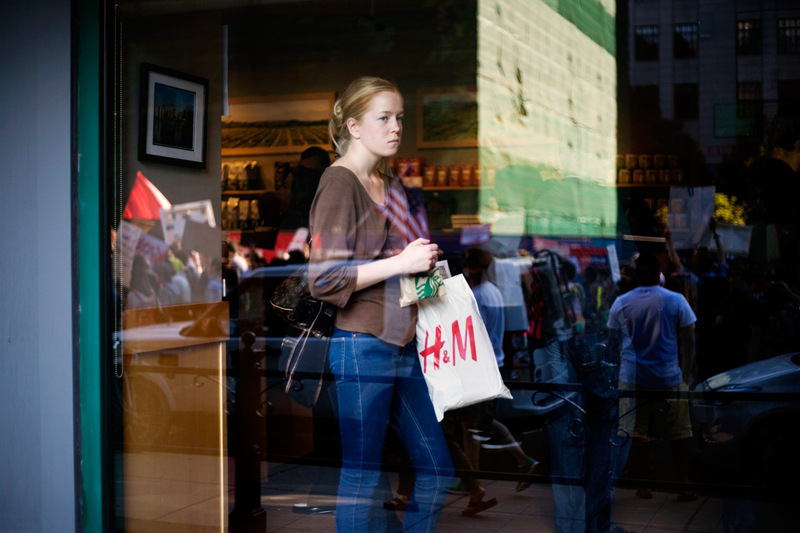 People in a Starbucks coffee shop watch as OccupyBoston marches through the streets of Back Bay, a high-traffic shopping area, in Boston, Massachusetts, USA. 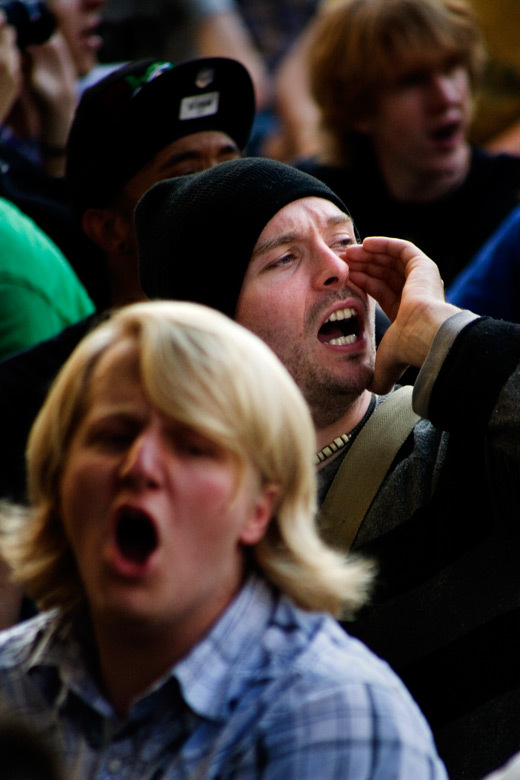 The protesters are part of OccupyBoston, which is part of the OccupyWallStreet movement, expressing discontent with the socioeconomic situation of the 99% of the US population who are not wealthy. Protestors have been camping in Dewey Square since Sept. 30, 2011. Gradually, larger organizations, including major labor unions, have expressed their support for the OccupyBoston effort. Police clash with members of Veterans for Peace at the OccupyBoston demonstration's second encampment at Rose F. Kennedy Greenway a block from Dewey Square, in downtown Boston, Massachusetts, USA. 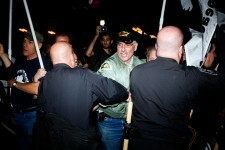 The police and city officials warned protesters that they would be forceably removed from the site by midnight. At about 1:30am police moved into the park, arrested approximately 100 protesters, and cleared the park of all tents and other protest materials. The protesters are part of OccupyBoston, which is part of the OccupyWallStreet movement, expressing discontent with the socioeconomic situation of the 99% of the US population who are not wealthy. Protestors have been camping in Dewey Square since Sept. 30, 2011. Gradually, larger organizations, including major labor unions, have expressed their support for the OccupyBoston effort. Members of National Nurses United join the OccupyBoston demonstration in Dewey Square in the Financial District of downtown Boston, Massachusetts, USA. 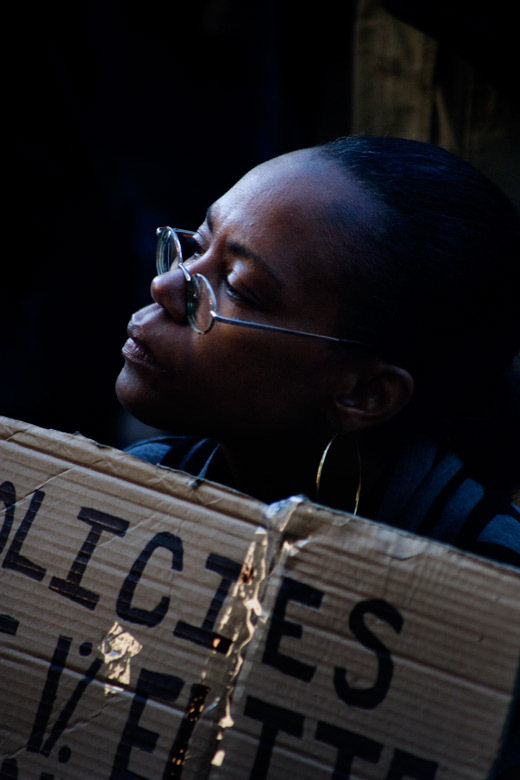 The protesters are part of OccupyBoston, which is part of the OccupyWallStreet movement, expressing discontent with the socioeconomic situation of the 99% of the US population who are not wealthy. Protestors have been camping in Dewey Square since Sept. 30, 2011. 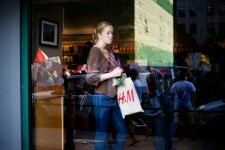 Gradually, larger organizations, including major labor unions, have expressed their support for the OccupyBoston effort. 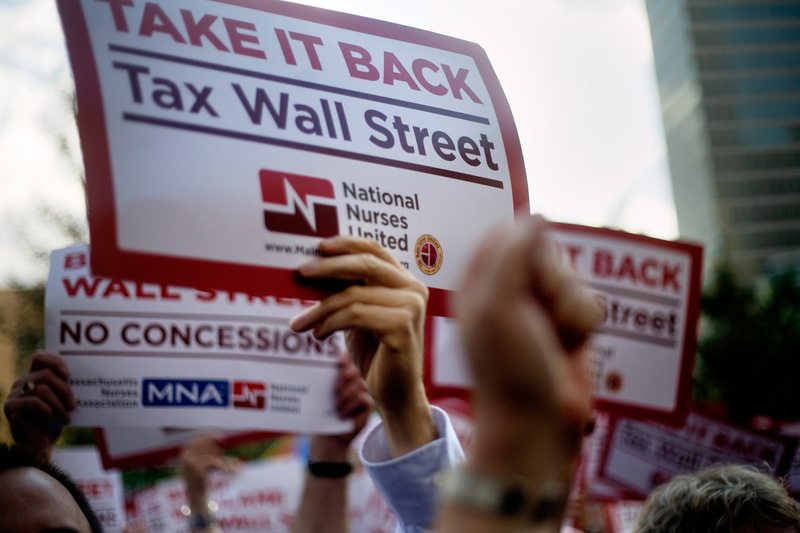 On this day, Oct. 5, members of National Nurses United, the largest nurses' union in the US, marched alongside the OccupyBoston protesters. A man sleeps in a tent at the OccupyBoston encampment in Dewey Square in the Financial District in downtown Boston, Massachusetts, USA. The protesters are part of OccupyBoston, which is part of the OccupyWallStreet movement, expressing discontent with the socioeconomic situation of the 99% of the US population who are not wealthy. Protestors have been camping in Dewey Square since Sept. 30, 2011. Gradually, larger organizations, including major labor unions, have expressed their support for the OccupyBoston effort. Police arrest OccupyBoston protesters at their second encampment at Rose F. Kennedy Greenway a block from Dewey Square, in downtown Boston, Massachusetts, USA. The police and city officials warned protesters that they would be forceably removed from the site by midnight. At about 1:30am police moved into the park, arrested approximately 100 protesters, and cleared the park of all tents and other protest materials. The protesters are part of OccupyBoston, which is part of the OccupyWallStreet movement, expressing discontent with the socioeconomic situation of the 99% of the US population who are not wealthy. Protestors have been camping in Dewey Square since Sept. 30, 2011. Gradually, larger organizations, including major labor unions, have expressed their support for the OccupyBoston effort. 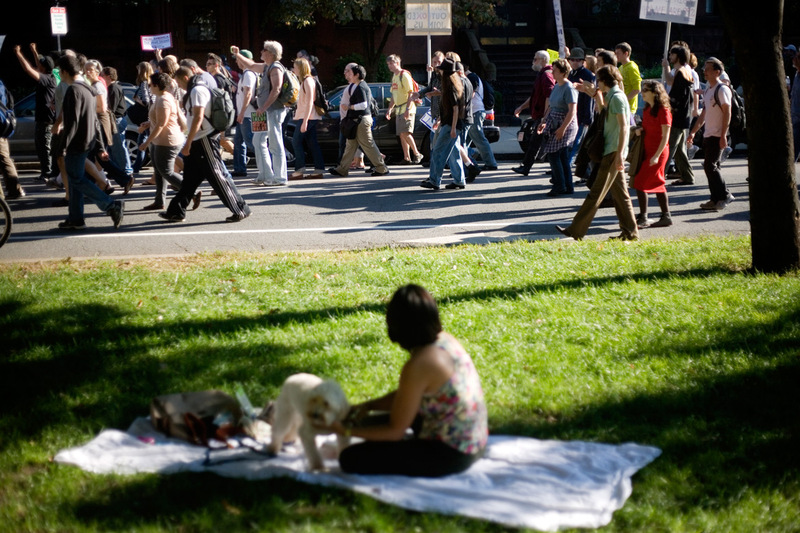 A woman sitting on the Commonwealth Avenue Mall in Back Bay watches as the OccupyBoston demonstration marches in Boston, Massachusetts, USA. The protesters are part of OccupyBoston, which is part of the OccupyWallStreet movement, expressing discontent with the socioeconomic situation of the 99% of the US population who are not wealthy. Protestors have been camping in Dewey Square since Sept. 30, 2011. 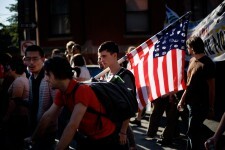 Gradually, larger organizations, including major labor unions, have expressed their support for the OccupyBoston effort. 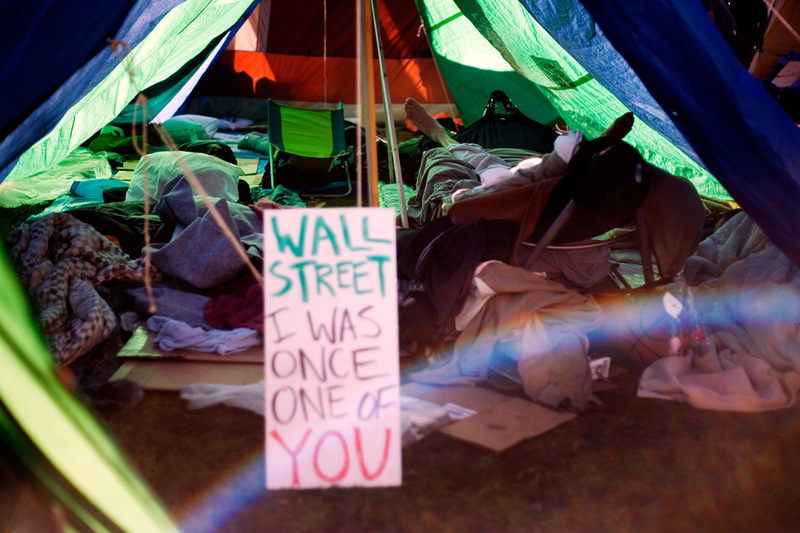 Starting in late September 2011, demonstrators have camped in Dewey Square in the Financial District in downtown Boston, Massachusetts, USA. The protests have been mostly peaceful with a variety of chants and marches aimed at raising issues related to the distribution of wealth, jobs, and other broad economic topics. 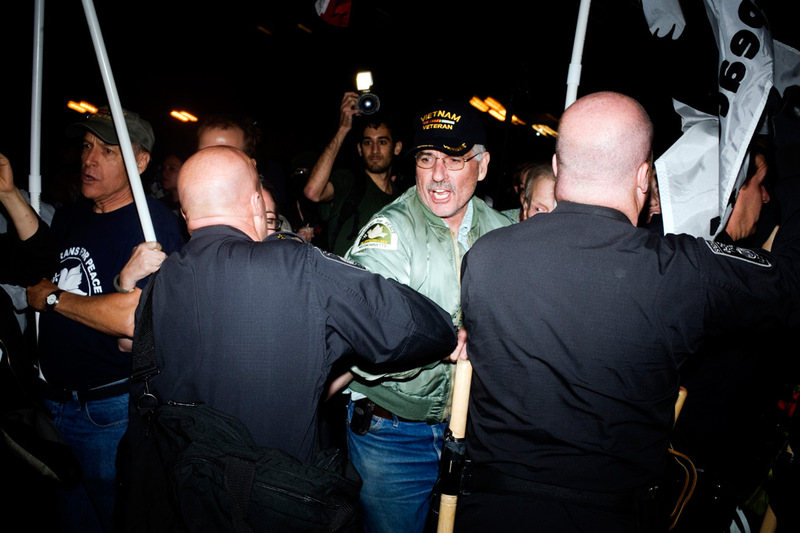 On Oct. 11, police forcibly removed protesters from a secondary camp, making 141 arrests. Protesters have vowed to stay indefinitely.